Make your website more powerful & productive by just adding Australia Post Shipping Magento Extension. Now use this extension for domestic as well as international shipping services. Using the Australia Post PAC API, you can easily integrate the Australia Post International Letter or Parcel Service in your store. Also, return the live eCommerce shipping services and rates based on the selected country and total order weight. 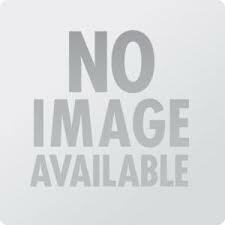 Australia post API key is required for this Magento extension to work. It provides two services at a time, i.e you can use International/Domestic Letter or International/Domestic Parcel at a time. For domestic shipping, only it requires the exact height, width, length and weight of the products. No layout overrides, just install the extension and define your API key in the Admin, add the warehouse postcodes, select the countries you want this method to appear and all done. Step 2. Extension will be enabled automatically. Check under System->Configuration->Advanced->Disable Modules Output to confirm it is enabled under name - Ocodewire_Auspost. Step 3. Manage the configuration options under System -> Configuration -> Sales -> Shipping Methods -> Australia Post International. Step 4. Add the API key, select the type i.e letter or parcel. Step 5. Warehouse postcode is optional. Step 6. Add handling fee, if applicable. Step 7. Select all countries or select to ship to specific countries. Step 8. Save config and Australia post international services and rates will appear in the shipping calculator on calculation and in the checkout process. Generate API Key: Visit the Australia Post site i.e. http://auspost.com.au/ and here, contact the support team for the API key. For Domestic Shipping Service: Add the length, width, height and weight of the products. Very simple to install and configure. Choose to enable type i.e letter or parcel service. No front end layout overrides or extra code. One can set service/package according to the choice. 1. Select service/package type according to your choice. 2. Shipping charges changes according to the number of products selected. 3. Bug fixing and enhancement. 4. Now added default configuration functionality for product dimensions. 1. Australia post International as well as Domestic shipping. 2. Some Label changes for the Domestic Shipping. 1. Australia Post Domestic services with the International services. 2. Need to put only the exact height,width,length and weight of the products. Q: Is it possible to change the text in front of the Radio button as per requirements? A: The radio buttons are showing the corresponding methods and the prices which are coming from the Australia Post, so that you can not change the methods and prices. Q: Where to get Australia Post API key? A: Get it from the Australia Post website or talk to technical support there, they can help you to get the API key. Q: Where to change the predefined prices? A: The prices are coming from the Australia post and you cannot change it. Q: Is there any option to add more Shipping options to it? A: Yes, it supports the other Magento Shipping methods and you can enable more Shipping options. Q: For Domestic Postal Prices? A: Put the exact values for the Height, Weight and Length of the products. Q: Are the units of length for package sizes in CM? Q: Does this Australia Post International Shipping Extension uses live address search? Q: Does it support satchels different sizes? A: Yes, it supports the satchels and parcel both ( maximum 25 kg). Q: Does it allow for few products to be put into the same satchel and calculate the cost according to the combined weight? A: No, it would not allow to put a few products in to the same satchel. It will calculate the shipping cost individually, by using the satchel height, width, thickness and weight. Q: Where will the shipping dimensions options be located to enter in? A: The Shipping dimensions will appear in the product section in admin panel, from there you can add the shipping options i.e. height, width and length for individual product. Q: Is it possible to print postage labels ? Q: Is it possible to set own rates to on-charge to customers? A: No, can not set own rates as it is all automated process. Q: After installation 404 Error Found. Now, what to do? A: For 404 error, clear the store cache and log out and log in to Magento Admin Panel again. Q: Do we need to update the postage charges? A: This extension fetches live rates from Australia Post API so, no need to update the postage charges manually. 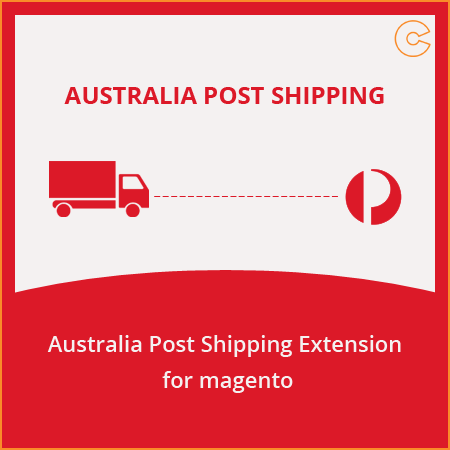 Integrate the Australia Post Shipping Extension in your Magento eCommerce store Domestic as well as International Shipping Services. Easily set free shipping, flat rate, actual cost or your own shipping rules.